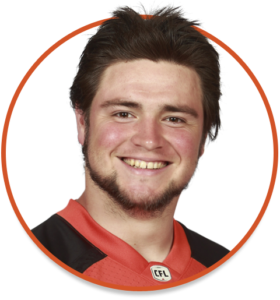 The BC Lions selected Edward in the fifth round (42nd overall) of the 2017 CFL Draft. After returning to school for his final year of eligibility in September 2017, he re-signed with the Lions in advance of the 2018 season. 2018: Edward impressed during training camp and broke camp with a spot on the Lions’ practice roster. 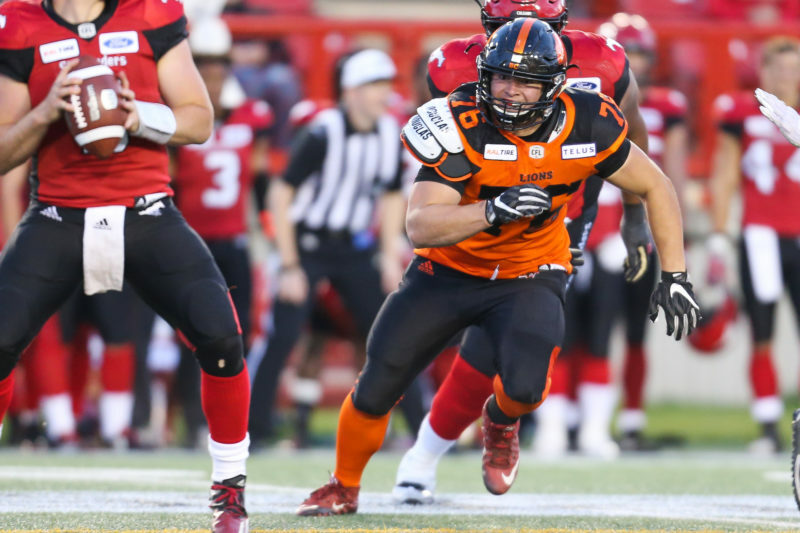 The Laval product switched midseason to the fullback position but transitioned back to the defensive line near the end of the 2018 season. Edward made his CFL debut on September 14 against the Montreal Alouettes. He registered one special teams tackle through four games. 2013-2017: Edward put together a fantastic career with Laval, registering 69 solo tackles, 21 tackles for a loss and 16 quarterback take-downs in 34 games. He also recovered three fumbles and forced two fumbles through four seasons. During Edward’s junior campaign in 2016, he tallied 19 solo stops, 7.5 tackles for a loss, 5.5 sacks and picked up a pair of fumbles. Godin had 23 tackles and five sacks during his final season with the Rouge et Or in 2017. Edward lists winning the 2013 and 2016 Vanier Cups with the Rouge et Or as his most memorable moments on the gridiron. Nearly 15 family members and friends attended all of his college games at Laval, but he cites his Mom as his biggest fan. Obviously, he spends much of his free time coordinating flights for his family and friends to make it from Quebec City for every Leos’ home game. Edward is hoping to coach football and teach after his playing days are over.